IS A BRUSSELS GRIFFON RIGHT FOR ME? Click here to view the American Kennel Club’s Full Breed Standard. A toy dog, intelligent, alert, sturdy, with a thickset, short body, a smart carriage and set-up, attracting attention by an almost human expression. There are two distinct types of coat: rough or smooth. Except for coat, there is no difference between the two. 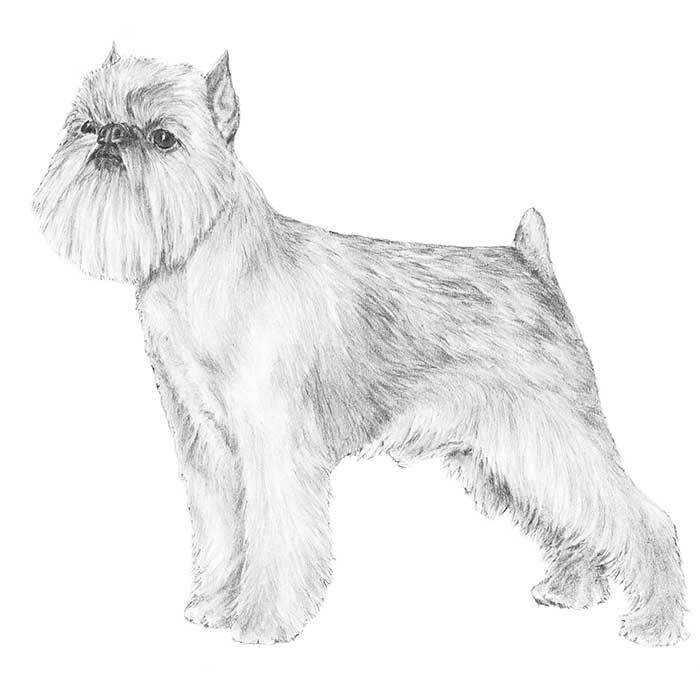 Click here to view the American Brussels Griffon Association’s Illustrated Standards. 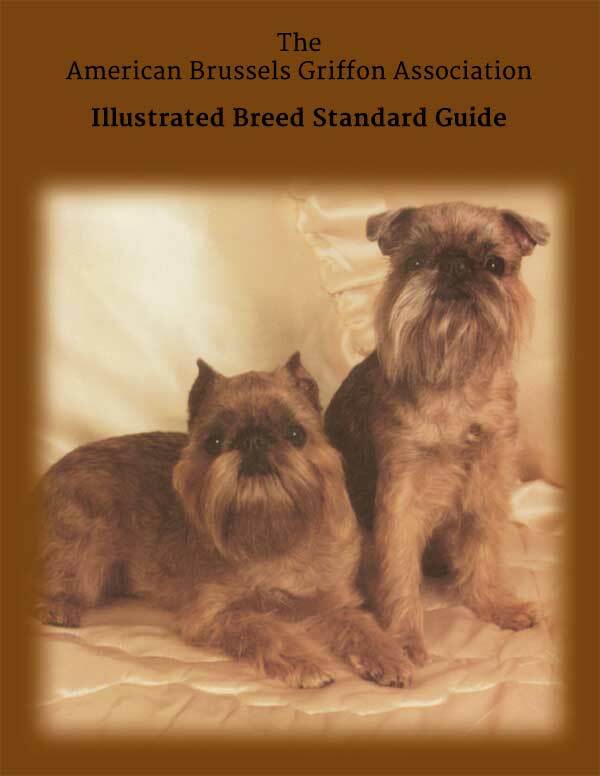 This Illustrated Standard Guide has been prepared under the auspices of the American Brussels Griffon Association for judges, as well as breeders and exhibitors, of the Brussels Griffon. It is intended as a tool to help visualize the perfect Brussels Griffon with a consistent interpretation of the breed Standard. Our responsibility is to promote the temperament, appearance, soundness of the Brussels Griffon.